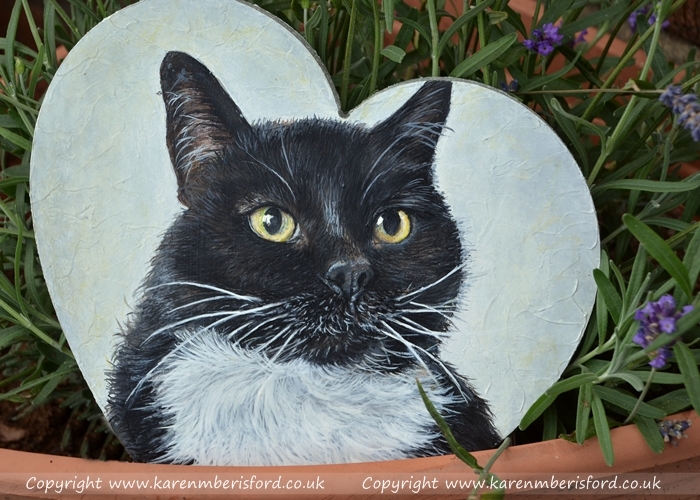 ​This is a special memorial painting of Murphie who sadly passed away in 2015 at the grand age of 20. Black & White animals are always challenging as there is such a huge contrast in tones and the most important stage is laying down the correct undertones. A neutral background was added to avoid detracting from Murphie herself and those beautiful eyes of hers. 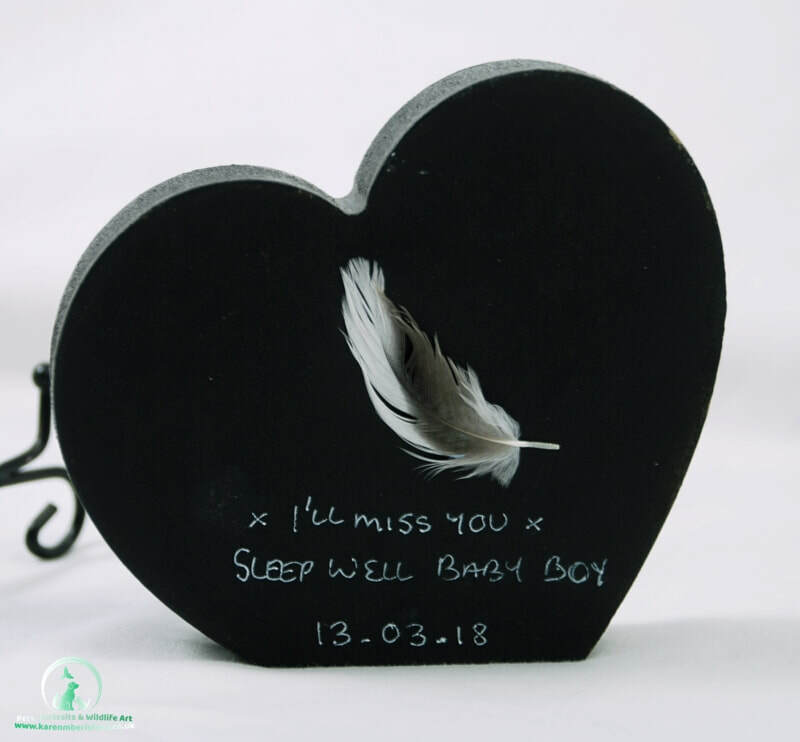 "Thank you for taking the time and patience to get to the final result - I know from what you have said that her colouring was a challenge at times and I must admit it has been an eye opener to see the entire process from start to finish. I have had a couple of friends already express an interest in having portraits painted of their dogs after seeing Murph's progress so you may yet end up with some more commissions! Thanks again, especially for making the whole process so easy from my point of view!" 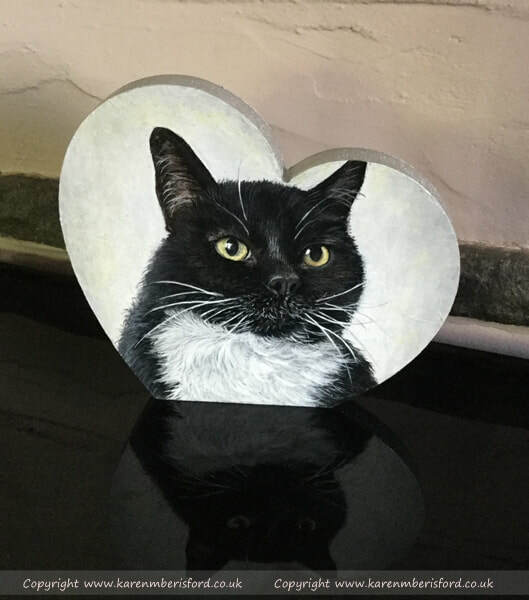 Product details: Each portrait is hand painted on a heart shaped 18mm deep sheet of MDF using professional quality Heavy Body GOLDEN Acrylics which contain the largest assortment of unique pure pigments to offer excellent permanency and lightfastness.